Bentleigh will aim to build on their 3-2 win over Oakleigh this Saturday when they travel to Paisley Park to take on the newly promoted Altona Magic. 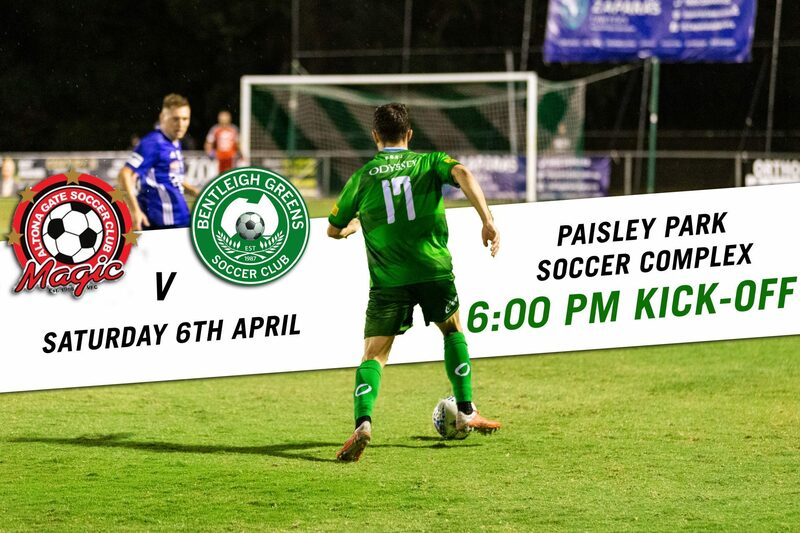 The game which promises to be an interesting encounter will see the Greens field one of their youngest starting 11’s in recent memory due to a number of injuries and red cards sustained in Friday night’s stirring victory against Oakleigh. Altona, who have settled into the Victorian top flight quite comfortably thus far into the season sit mid table in 7th position with notable wins against Dandenong Thunder and Oakleigh Cannons to start their NPL campaign. Altona’s line-up boasts some of the NPL’s best talent including ex-Greens championship winners Ross Archibald and Troy Ruthven. They also provide a potent threat up top with Michiel Hemmen and Dusan Bosnjak. As for the Greens, German-import Arnold Suew will aim to continue his rich vain of form which included a classy back-heel that clinched the victory for Johnny A’s men last time out. The Greens will also be hoping talisman Matt Thurtell can get up after he looked to have fallen victim to a nasty looking ankle injury against the Cannons. Kick-Off from Paisley Park is at 6pm, with the U/20’s starting at 4pm. Paisley Park: 1-15 Mills Street, Altona North.